If you want to spend your trip interesting and informative, Geneva is the best place for you. You and your kids meet Geneva as the most interesting and comfortable city to live with kids. This picturesque part of Europe makes you feel like at home. The city lives with its own calm, happy and measure life in the West part of Switzerland. All important attributes of modern life are waiting for you at every step. 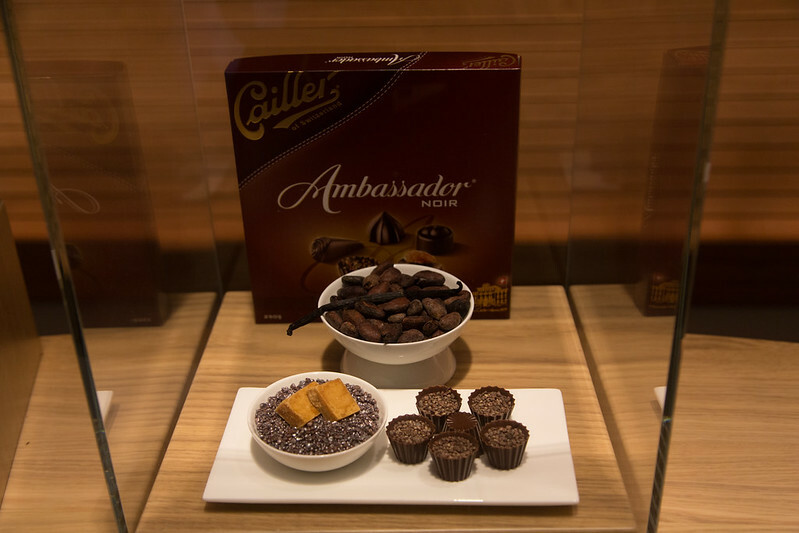 Cailler Chocolate Factory was founded by Francois Louis Cailler in 1796. You know, this is the most respectable chocolate brand in Switzerland. There is original recipe where fresh Alpine milk was firstly used. The most of recipes were renewed and improved to make Cailler chocolate soft and velvet. You can order the excursion that must be interesting for big and small travellers. No one can refuse to tray the best European chocolate. You have to visit conservatory and Botanic Garden if you like nature and walking in nature. The Botanic Garden of Geneva was founded in the 19th century to be the best visiting place in the city. The territory is overcrowded but always clean and atmospheric. Everyone can find something interesting here: nature lovers admire of big garden with exotic plants and greeneries; kids like deer and peafowls in the Zoo; men like scientific center in the territory of the garden. There is also a big library and modern equipment. Meet one of the best parks in Geneva! It is free to visit! The park is divided into thematic zones in form of Japanese Garden, Alpine Garden or French Garden. Look around! There are many big and small greenery zones, exotic plants, lakes and trees. There is a playground for kids, café and mini Zoo. One of the main park advantages is big stylish carrousel with flying lion, mechanic bird and giant ants. The museum is probably the best visiting cultural place in the city. More than 7 000 of art masterpieces, big collection of 60 000 ancient coins and more than 20 000 ceramic plates are gathered together here. Of course, the budget of the museum is limited. It exists just because of beneficence from citizens. It speaks about Swiss people that like and respect their city. There are many interesting questions about the universe! Where to start? You can find answers the question with the help of scientists from Cern Laboratory. They use modern equipment to get fundamental knowledge about life aspects. Right here, in 1989, the internet was discovered. It is difficult to live without the internet in our days. This is the place where you can learn many interesting facts and scientific results. The fountain Jet d’eau is the great idea of Swiss engineers that is predicted to reduce excessive pressure in the city hydraulic convertor. The idea was really great. The fountain became the symbol of the city. The water is 140 meters high. You know, this is the Eiffel Tower of Geneva, the visiting card of Riviera. Russo Island is a real pearl of Riviera. This is an island of relaxation and blessing that is the popular place for lovers in spring and interesting playground for kids in summer. There is an admirable river view from the nearest hotel. Four Seasons Hotel Des Bergues Geneva is situated opposite the Russo Island to be the most comfortable hotel to live with kids. Never forget to by ice-cream in the little cozy cafe not far from the park. Let us go far from the city to find more interesting attractions for kids. Pay attention to Aqauparc Bouveret – one of the biggest water parks in Europe (more than 15 000 square meters). Right here, on the banks of Geneva Lake, there are three specialized resting zones: Captain Kids is oriented for small visitors (the territory looks like a pirate ship and swimming pool), Glisse consists of water hills for all ages, Paradise offers many big and small swimming pools, Jacuzzi, sauna and solarium, tropical shower and special closed territory for naked visitors. There is a sandy beach and playground for kids. Of course, the best way to get to the Aqauparc Bouveret is hiring car in Geneva or Zurich. You can also use public transport. 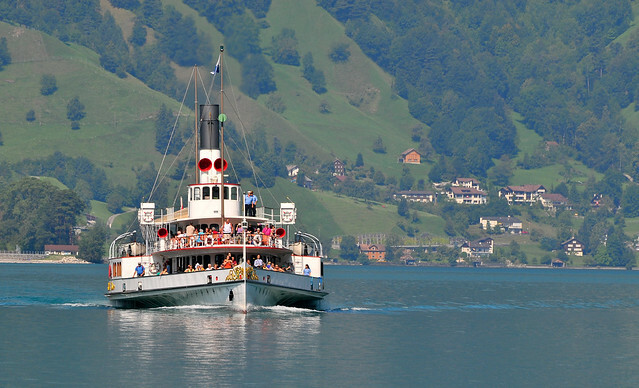 For example, comfortable train takes you from Zurich along the bank of Geneva Lake. There is also a highway along the South bank of the lake. It takes 30 minutes to get there from the nearest city. Welcome to the little cozy city Evionnaz. 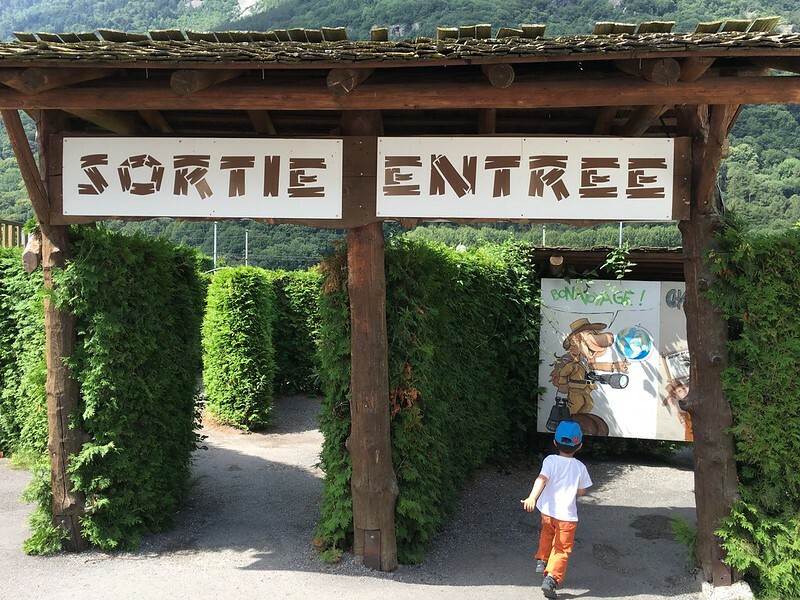 There is a park of adventures Labyrinth Adventure Evionnaz. Actually, this is a compact complex, the biggest outdoor park of attractions in Europe. There are more than 50 playgrounds and attractions and natural labyrinth made of thousands of bushes. What is more, there are big hills, nature walls, mini golf and play grounds. Everything is natural, made of trees and bushes, decorated according to the season in special way: Halloween, Andersen tails, knights’ ballads, St. Valentine’s Day and others. If you are hungry, you may visit one of numerous restaurants. Pay attention to Creperie restaurant and numerous platforms for picnics. The park territory and the most of attractions are available for disabled visitors. The park works from April to September 9 a.m. till 5 p.m.; October 10 a.m. till noon. 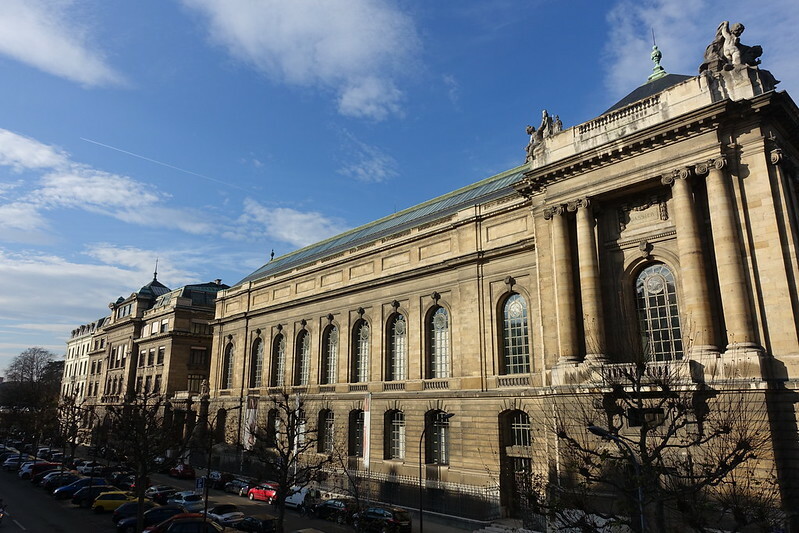 The entrance ticket for adults is 16 francs, for kids 5-16 years – 14 francs. You can get there by car or train from Lausanne (it takes about 30 minutes) or Martigny (8 km to the South from the city). Of course, car is the most optimal variant to get fast to any place of Switzerland. Of course, the list of interesting and natural places for kids in Switzerland is not full. These are places that are worth visiting. What is more, your visit is going to be pleasant, interesting and informative, where gest and needs meet.